On June 14, 1949, a rhesus monkey named Albert II took a ride on a V2 rocket, reaching an altitude of 83 miles above the surface of the earth. This made him the first monkey in space. He died on impact after his spacecraft's parachute failed. His predecessor, Albert I, did not reach space (only attaining 39 miles of altitude) and died of suffocation. His successor, Albert III, died in an explosion at 35,000 feet. The first monkey in space to survive the trip at all was Albert VI (see video above), though his post-space life was sadly short. 1951 - UNIVAC I Becomes the First Commercially Available Computer in the U.S.
On June 14, 1951, the United States Census Bureau dedicated UNIVAC I, though it had bought the system a few months earlier. The computer was used for various massive computing tasks, most famously predicting the 1952 presidential election. Using only a 1% sample of the voting populace, UNIVAC I predicted that Dwight Eisenhower would win in a landslide, despite common wisdom that Adlai Stevenson would take the election. The prediction was held back on election night because it seemed so improbable. Oops. On June 14, 1959, Disneyland opened the first monorail in the United States. Vice President Nixon and his family were present with Walt Disney at the opening (see above; Nixon starts around 2:55). The Nixon kids cut the ribbon, with a little help from Walt. Part of Tomorrowland, the Disneyland Monorail System is still in operation today. On June 13, 1983, Pioneer 10 became the first man-made object to leave the major planets of the solar system. It crossed the orbit of Neptune and just kept going. The mission officially ended on March 31, 1997, though Pioneer 10 was still transmitting data (the last weak signal received from the probe was received in 2003, when it was 80 AU from earth). 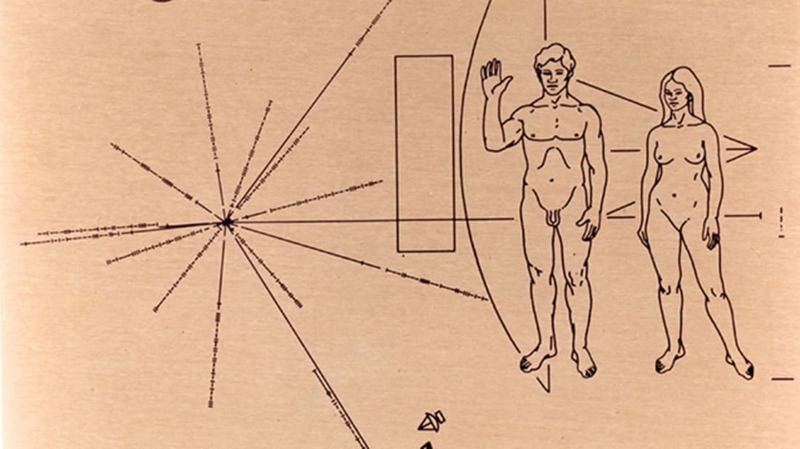 The craft was launched in 1972, and carries the famous Pioneer plaque, predecessor to the Voyager Golden Record—both were intended to communicate some information about the human species in case extraterrestrial intelligence ever retrieved the probes.